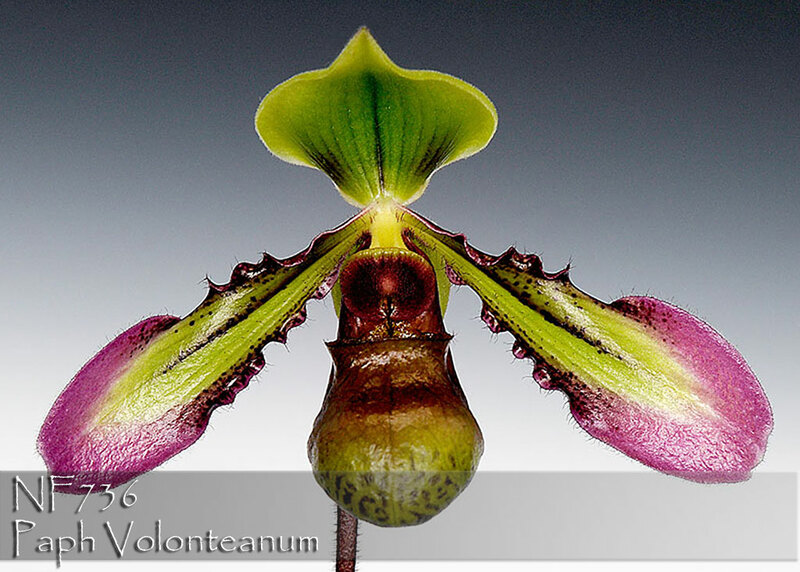 A rare variety of the species Paph. hookerae, var. 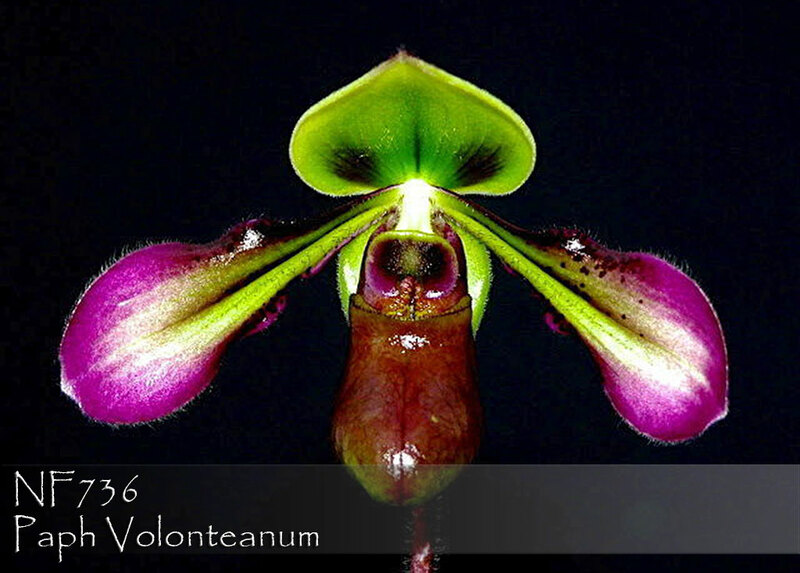 volonteanum produces vividly colored flowers that can reach up to 10cm in size ! Its most outstanding feature is the wonderfully broad well-held petals which contrast beautifully with its dark pouch and dorsal sepal. And its beautiful foliage completes the amazing picture. Highly Recommended ! , Note: Limited , Beautiful foliage.